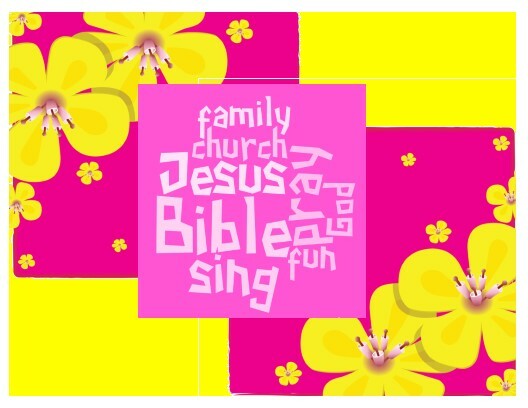 Remind people in fun ways about what is going on at church this summer with these cards. 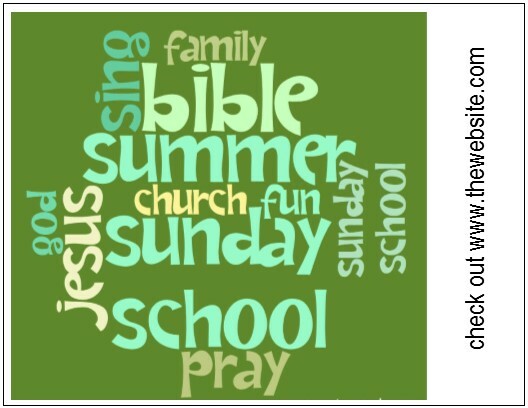 A light touch, a gentle reminder is often all that is needed to let people know what is going on at church during the summer and to help you do that, I revised some summer postcards I made with www.tagxedo.com, a fun site you can use to create word cloud images that you can then place into any publication you are working on. The cards below were designed as reminders or notes that you can send out to remind people of what is going on at the church. 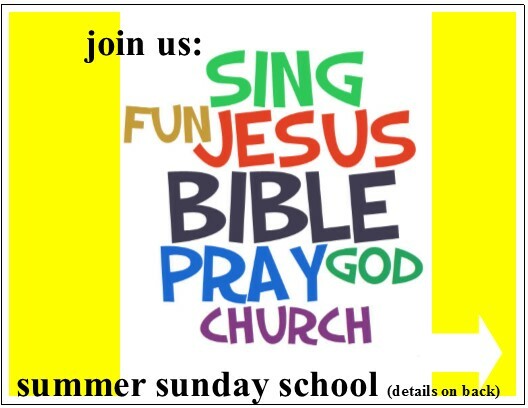 Make them up for Sunday School Teachers, Small Group Leaders and Pastors to write a few notes a day to various church members. 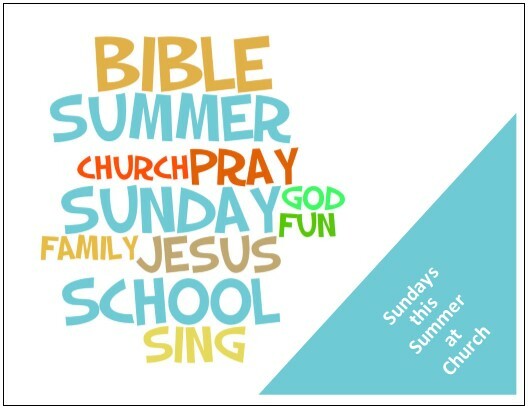 Summer is time for fun, but the best of times are often with our church families and these cards can remind people of that. Below the illustration of the cards is a downloadable ZIP file that has ready-to-print PDFs and editable MS Publisher files. If your want people to respond to your communications, use every tool you can! People are busy, stressed, and time-starved—what is the best way to reach them? Many voices would answer "SOCIAL MEDIA!" But if that is the answer, why aren't our churches filled and every event well-attended, when social media costs almost nothing to produce and we can push it out to the world? Part of the problem could be that we have confused the popularity of social media with effectiveness (source for this idea in the video below). We assume social media is the way most people communicate today, and though that idea is wildly incorrect for many congregations, even among those who do live glued to a Twitter feed, don't necessarily take action on what they see on social media. Far from it--keep tweeting, Facebooking, Pinning and Instagramming, as the Apostle Paul said, "we need to become all things to all people to win some" (1 Cor 9:22). But consider re-introducing PRINT into a more significant place in your church communication mix. As you'll see a number of communication and marketing studies show this is the most effective way to get an audience to respond to your message. Below are 2 videos--one a more lengthy teaching one about the effectiveness of combining print and digital for any non-profit group and the second one is a series of slides with thought provoking quotes and commentary. Below each of them are handouts of the presentation. Below both is PDF e-book that has the quotes, studies listed and more. Why here, now and free to all? As I've been working on Fall and Christmas communications I've realized that unless you understand some of the key points in the material that follows your fall outreach will not be as successful as it could or should be. Either one of the videos would make an excellent discussion topic for your next staff meeting because communication ministry is the foundation of the success of many ministries in the church and it is far more difficult today than it was in the past when you only needed to worry about how many times you printed an announcement in the bulletin. I'm working on a longer class and book on this topic, but I felt it was too important not to get out now what I did have ready. Click on the image to download a copy of this e-book.